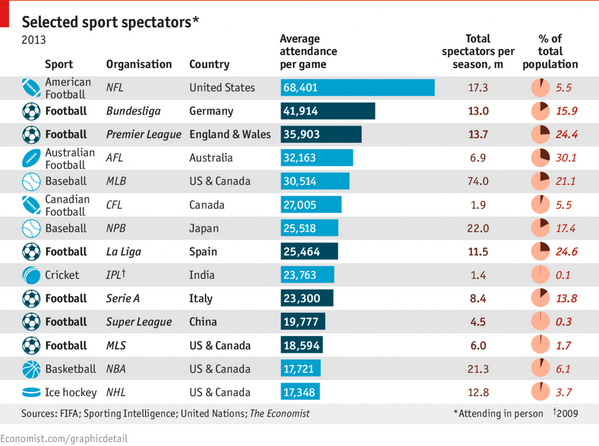 Note the MLS is the sixth highest average attendance soccer league in the world. I would, however, argue that this should be normalized by population to make a rank comparison. Oh wait, there it is in the last column – economists think alike!